Celtic Music is found in many different settings: the thundering of the massed pipes and drums, the power of the great ceili bands, and the intimacy of the kitchen, where a stolen tune at midnight can leave an impression that lasts a lifetime. A duo can move among worlds, creating tremendous musical energy yet keeping the closeness of a quiet conversation. Changeling presents the fire and stark beauty of the Celtic traditions with (in the words of one fan) "the power of ten in a package of two." They travel from concert halls to dance halls, delighting fans and winning friends with their tunes, songs and stories. 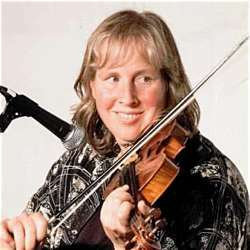 Deborah's skill and emotional depth have earned her national recognition in Irish and Scottish circles for her fiddling on blistering reels, playful jigs and heartbreaking airs. She has been recording and performing professionally for over ten years, from Chicago and New York to the Bahamas. Her tremendous energy and presence in the music keep her in demand as a performer, studio musician and teacher. 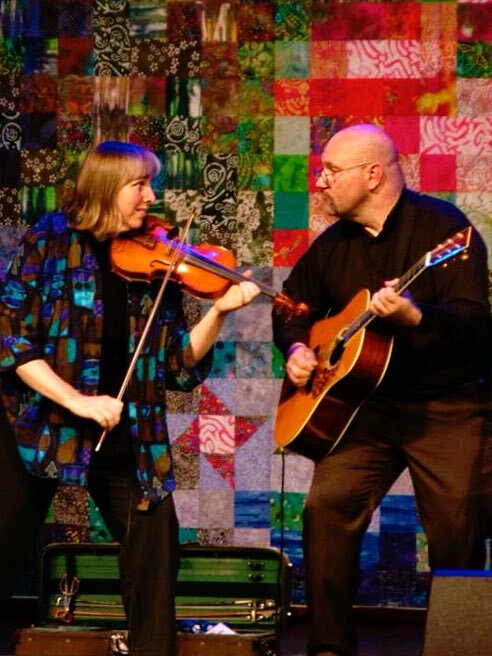 Deborah contributed outrageous fiddling to the three new tracks on Gaelic Storm's Billboard World-Music Charting Album (#2!) Special Reserve, adding her to the list of traditional Irish fiddlers to record on Nashville's Music Row. Deborah is a prolific composer of tunes, including "Blue Ash," "The Thirtieth Year," and the notorious "Pizza Reel" on Changeling's latest album, The Hidden World. Changeling guitarist and singer Karl Clark Colón is the perfect Celt: a delicate cross between a scholarly monk and a professional wrestler. One moment he's quietly hunched over his guitar, eyes closed, creating intimate soundscapes to highlight a lament or slow air, but in the blink of an eye he's stamping, shouting and leaping from the rafters in the spirit of a reel. 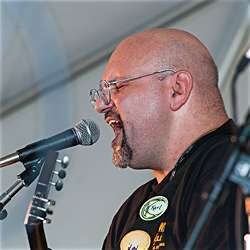 His songs, stories and humor welcome and enthrall a crowd, helping them to discover that traditional music is best enjoyed among friends.